Happy International day of Autism April 6.Here you can see a proud Benjamin showing his arts. We had 25 art exhibitions together, but School didn't encourage him to communicate at all. I started this. School didn't give Benjamin tools to read and write. I am still trying to help Benjamin with articulating with Forbrain since 1 and a half year back, I hope he will learn to read but the speech therapist deny to help him in team of habilitation for adults having Autism. That is discrimination. The reason is there is no money for adults with Autism. Only kids that can not talk having right to learn this. That is a discrimination in Agenda 22. Sweden is discriminating still people with Autism. 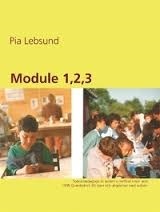 I am soon starting a course in my own method Module 1,2,3 for educated staff in Autism and parents. You need to have education and experiences for a few years before you apply to my course .I want only passionate clients that give time to improve changes. Yesterday we could see a boy Sebastian that was 6 months in a psychiatric unit in a hospital for 6 month .He was not allowed to leave that room for 6 months. That is torture. People with Autism still get tortured by staff not knowing better. Some dies. Sweden tolerate this still. Pia Lebsund är på Folkkulturcentrum, Hjorthagen.